From nature walks to neighborhood history, urban hiking and walking in Denver allow you to choose the path that suits your goals, personality, and location. 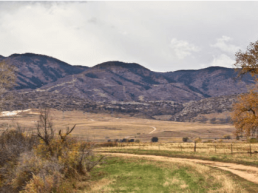 With so many options nearby, how do you choose the Denver, Colorado Trail or hike that works for you? The City and County of Denver maintains over 80 miles of urban trails throughout Denver and hundreds of miles of sidewalk, some following along waterways like the Cherry Creek or Platte River. 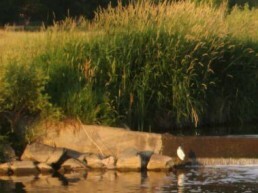 Well-maintained off-street trails are used by walkers, runners, cyclists and more. 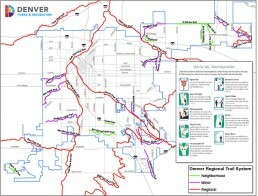 Denver Regional Trail Map: This map is a comprehensive guide to multi-use trails throughout the city and county of Denver. Popular throughout the city and well managed, most trails have snow removal during the winter! Looking for more information about the best Denver Colorado Trail Maps? Grab a copy of Best Urban Hikes: Denver for trail hike maps and Walking Denver’s Neighborhoods for neighborhood maps so you always have good urban hiking and walking routes handy. 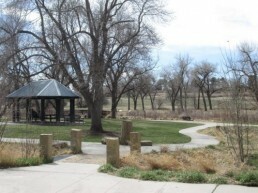 The 42-mile, 9 Creeks Loop includes portions of the Sand Creek Greenway, the High Line Canal Trail, the Cherry Creek Trail, and the Platte River Trail. Encircling metro Denver, the loop passes through urban, suburban, rural, agricultural, and commercial areas. 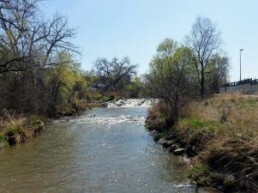 You’ll enjoy walking through the watersheds or creeks of First Creek, Second Creek, Sand Creek, Lee Gulch, Cherry Creek, Dry Creek, Toll Gate Creek, High Line Canal, and the Platte River. The Bear Creek Trail, at 14.5 miles, is paved the entire way and is relatively flat on its eastern end. The western end rises into Morrison. It meanders through neighborhoods from Sheridan to Morrison along the Bear Creek and intersects with the South Platte River Trail and the Mary Carter Greenway. This 42-mile paved trail expands across Denver borders into surrounding communities of Aurora, Parker and Franktown. The Denver portion follows the Cherry Creek from where it crosses the High Line Canal to the Platte River at Confluence Park. Look for Denver Urban Arts’ pieces along its banks. Going west into the Rocky Mountain Arsenal Wildlife Refuge along a 4-mile round-trip dirt trail or east under the A Train rail tracks along 4-mile round-trip concrete path, this 8-mile round-trip trail starts you in the middle and you work your way east or west through the Great Prairie and near bison or airplanes. 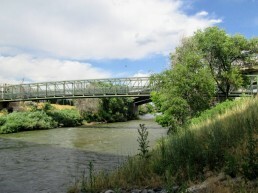 The South Platte River traverses many miles along the South Platte; the Denver portion spans 18 miles along paved pathway passing historic rodeo sites, the origin of Denver’s founding, Confluence Park, and other cultural designations. 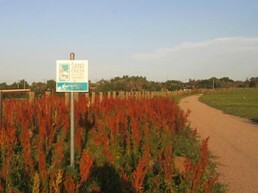 It connects with the Clear Creek Trail, the Sand Creek Greenway, the Cherry Creek Trail, and the Mary Carter Trail, among others. 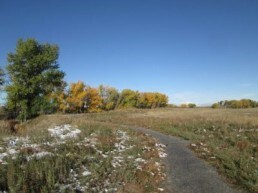 The Sand Creek Regional Greenway traverses 14 miles along and over some of the major byways and highways of North/Northeast Denver/Northwest Aurora. Yet the entire time you’re enjoying the trail, you’ll enjoy wilderness in the city.